I found a felt board among the puzzles, but couldn’t locate the bag of felt pieces that went with it, so we made our own. 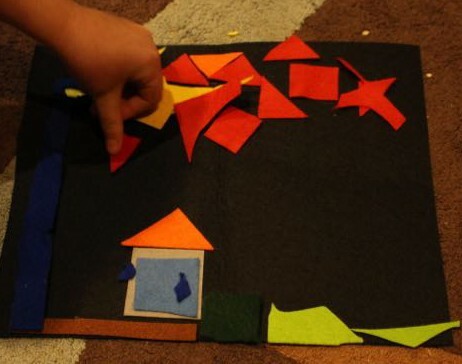 I used several different colours of felt, and cut them into basic shapes, such as squares, circles and triangles. 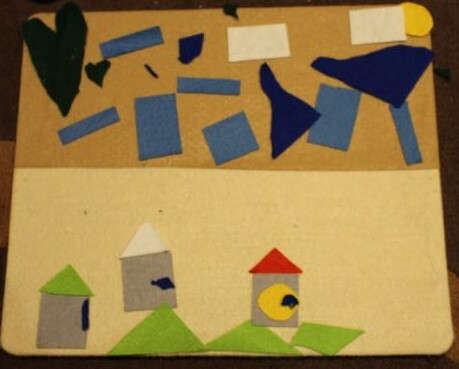 A took the felt board to make her pictures, while L used a plain piece of black felt as her background. Felt sticks to felt, so the shapes will stick to any piece of felt, L just laid her piece of the floor so that it was flat. A adding grass to her house picture. A made some pictures of houses and a city, with blue sky and green grass, and of course a wonderful yellow sun. L used her black background to create a lovely night picture and a volcano picture. 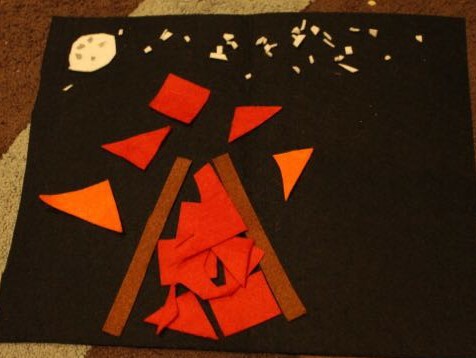 She cut up some more felt to suit her design, as she wanted little pieces of white to create the ash for her volcano. 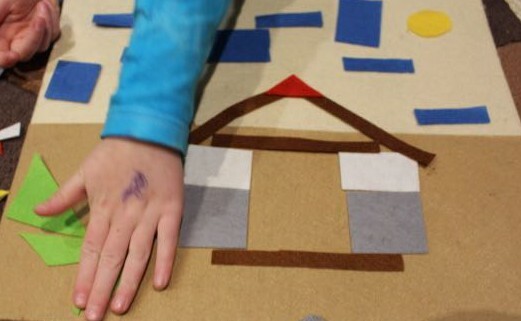 We had a lot of fun making our felt piece pictures, and it was simple and fairly cheap to set up. 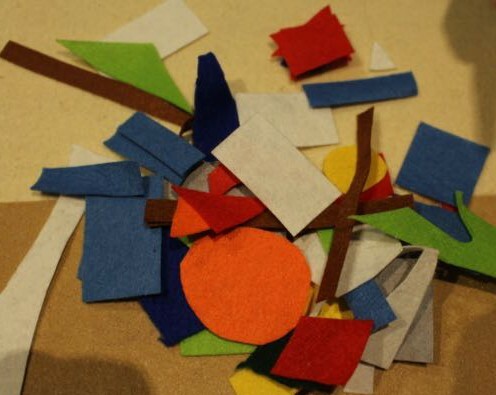 We have stored the felt pieces in a zip-lock bag to use next time we feel like making felt pictures. Thank you 🙂 It was really fun, and I enjoyed making felt pictures too!